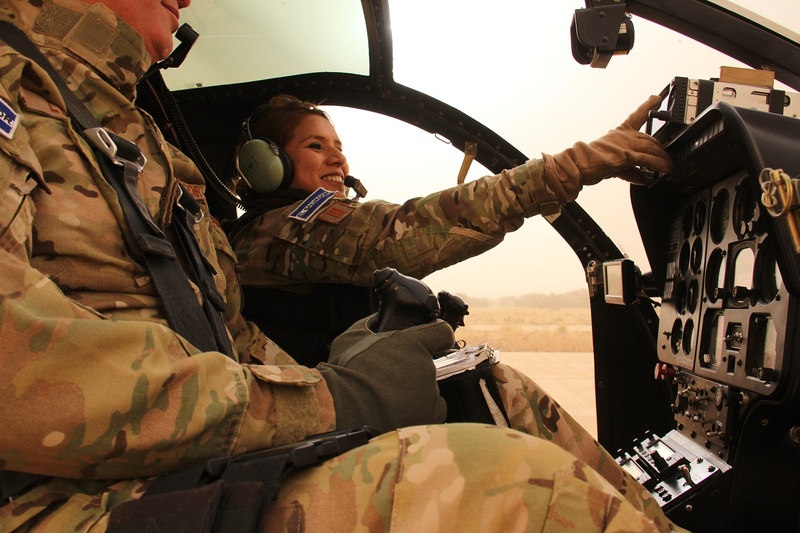 Flying across the vast desert in Northern Mali on surveillance and protection of civilians missions would be a challenge for any pilot, but Sandra Hernandez stands out. She’s the only female helicopter pilot in El Salvador’s contingent of the United Nations Multidimensional Integrated Stabilization Mission in Mali (MINUSMA). 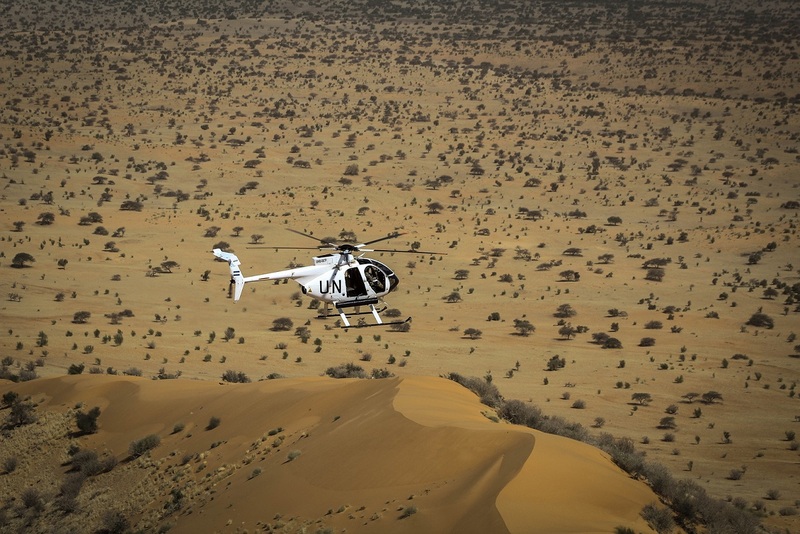 Helicopters pilots from El Salvador, based in Timbuktu, have been taking part in the UN mission for the past three years. But as the only woman in the contingent, Sandra Hernandez dreamed being a pilot since she was a child. ‘Since I was a little girl I always love flying as my dad flied planes and my two older brothers also flied helicopters. I always felt very proud of them”, she said. With her 16 years of experience as a pilot in her home country, Sandra joined MINUSMA in May 2017. She flies surveillance and rapid response missions, provides air support for forces on the ground, escorts UN convoys and evacuates casualties, as well as protects civilians in the Northern regions of Mali. ´ºWe are always ready and have a respond time of under seven minutes, in which we can be ready to provide security and make a show of force against armed groups attacking civilians”, she said. El Salvador, a small country of about six million people, is fully committed to international support and peacekeeping operations. It contributes with three MD500E helicopters and a contingent of 90 peacekeepers to MINUSMA. The armed helicopter unit, named "Torogoz" after an emblematic bird in El Salvador, includes pilots, maintenance teams, medical personnel, and marines. Its main mission is to conduct day and night air patrols, providing support to troops on the ground. The contingent is one of its military’s most significant international deployments. It is the first time Salvadorian forces have operated independently of any direct support from any other country as part of a UN operation. For the contingent commander, Colonel Jose Leon, having a woman on board is a real advantage when it comes to gain trust of local communities “Ï am really proud of her and is an honor have her on the team. She certainly helps out in our contact with the local population in Timbuktu, particularly with women. When they see a woman pilot working, and interacting with them, it provides a different perspective," he said. Sandra enjoys being part of El Salvador first UN peacekeeping unit. Her most rewarding take away is knowing that women, children and men in these areas are safer as a result of her work. However there are sacrifices to make too, the most difficult for her is been so far away from her family and eight year old daughter for months at a time. 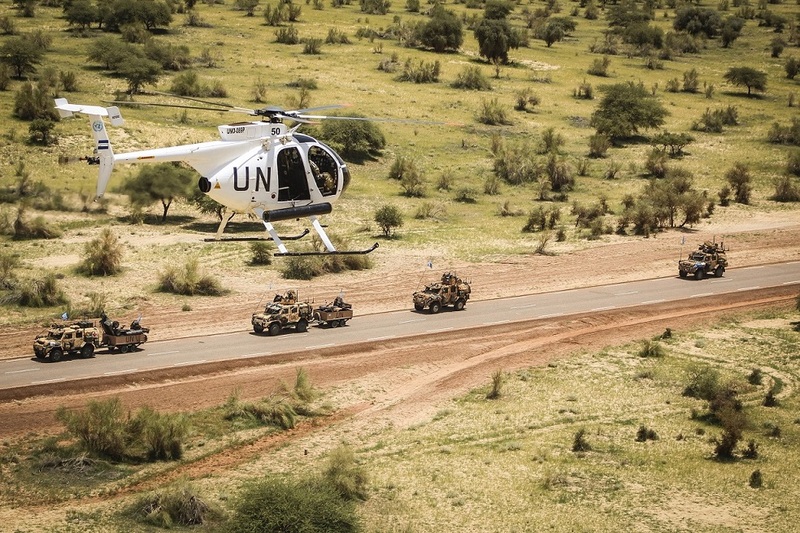 Today, some 13,000 UN peacekeepers from more than 50 countries, serve in Mali. Operating in a highly volatile environment, far away from their families and their countries, peacekeepers make sacrifices in the service of peace every day.